PYONGYANG, Aug. 26 (Yonhap) – North Korea has long stressed sports as a means to raise its international stature, and that’s the spirit in which Pyongyang International Football School (PIFS), for kids aged 7-14, opened in 2013. The goal is to foster football players who will represent North Korea in 10 years, says Hyon Chol-yun, who heads the school in the North Korean capital. It has made strides in recent years. In 2014, North Korea stunned the South with its national youth football team beating South Korea 2-1 at the AFC U-16 Championship final. With two of its players part of FC Barcelona, South Korea had predicted an easy victory. The North Korean football training system works on a survival-based methodology in which those who fail to keep up are pruned annually, Hyon told Yonhap News Agency when the school was opened to South Korean media for the first time last week. Yonhap was one of two media outlets there. Students at PIFS learn regular subjects in addition to North Korean ideologies — a must in every school. Football theories are taught in English to prepare them for overseas recruitment, which occurs every year. This year, Italy’s Perugia will visit to take their pick. Like any other team, the North Koreans strive to mimic the Spanish style of “tiki-taka,” characterized by its quick movements and passes, and the stalwart defense of the Germans. As such, students are evaluated based not just on their physical merits, but also on intelligence and aggressiveness, Hyon said. It’s a hard-learned lesson from the past, when North Korea used to focus only on the cohesiveness and stamina of the team at the expense of creativity. The school’s size has nearly doubled from 80 students in its inaugural class to 160 students now. Posted in Senza categoria on agosto 26, 2015 by calciocorea. Posted in Senza categoria on agosto 24, 2015 by calciocorea. Ancora rete per Pak Kwang-Ryong con la maglia del Biel-Bienne nella vittoria per 4-1 contro il Xamax. Posted in Senza categoria on agosto 23, 2015 by calciocorea. Afc U19 femminile: vittoria nel derby! Continua il periodo d’oro del calcio femminile nordcoreano certificato dall’ennesima vittoria nel derby intercoreano, questa volta nella versione under19. Decide una rete di Ri Hyang-Sim. Le nordcoreane passano quindi il girone da prime e troveranno la Cina ai quarti di finale. Posted in Senza categoria and tagged nazionale femminile on agosto 21, 2015 by calciocorea. 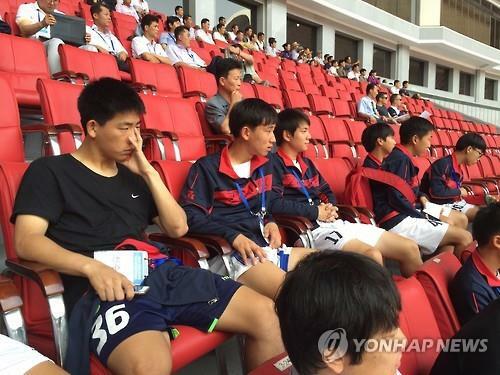 PYONGYANG, Aug. 21 (Yonhap) — About 24 hours after the two Koreas exchanged fire across their heavily fortified border, South Korean footballers participating in an international youth tournament in Pyongyang on Friday were seemingly oblivious to the tension. The second edition under-15 competition kicked off Friday in the North Korean capital, a day after the exchange of artillery fire between the Koreas. South Korea is represented by two teams: one from Gyeonggi Province and another from southern Gangwon Province. They are up against two squads from North Korea and teams from China, Uzbekistan, Croatia and Brazil. The tournament will close on Monday. The South Koreans were informed of Thursday’s clash on Friday morning. Yet when the Gyeonggi Province squad defeated the Chinese team from Kunming 3-0 at Rungrado May Day Stadium in Pyongyang, any lingering tension among the young players seemed to have dissipated. And it didn’t hurt that most of the 70,000 fans were behind the South Koreans. “And when I scored, the cheers were so loud that I got goosebumps,” Kang added. Lim Jae-hyeok, captain for the Gyeonggi Province team, said he and the players are doing just fine and that their parents shouldn’t worry about them. “We’ll come home with the championship,” Lim said with a smile. The South Korean players, officials and provincial representatives attended a reception hosted by the North Korean organizers Thursday evening, even as the tension continued to rise on the peninsula. Earlier Friday, Gyeonggi provincial officials said they phoned the parents of every Gyeonggi player currently in Pyongyang to assure them of their children’s safety. Posted in Senza categoria on agosto 21, 2015 by calciocorea. Pyongyang, August 18 (KCNA) — The DPRK women’s football team recently won the 2015 EAFF East Asian Cup held in Wuhan, China, producing the best player, top scorer and best defender of the tournament. 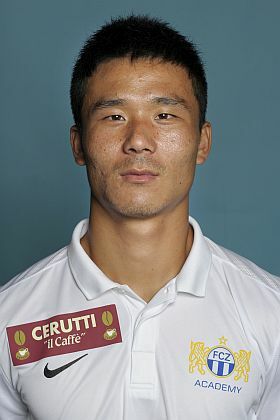 One of them is Ra Un Sim, top scorer of the tournament who was born in Kyongsong County, North Hamgyong Province. She got three goals in the matches against Japanese and south Korean rivals. 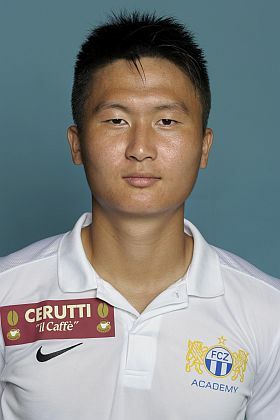 Wi Jong Sim, who was selected as the best player of the tournament, is active in the Kalmaegi Sports Team. She, born in Sinhung County, South Hamgyong Province, kicked two goals into the net of the Chinese team. 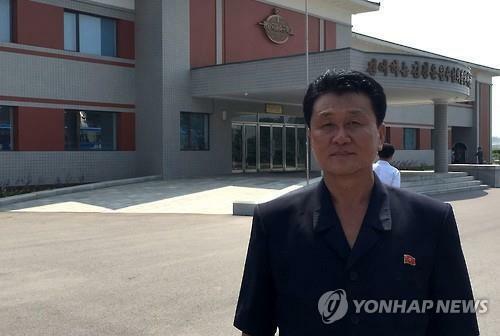 Kim Nam Hui from the April 25 Sports Team was born in Kim Chaek City, North Hamgyong Province. During the tournament she proved herself worthy of the best defender of the tournament. Pyongyang, August 15 (KCNA) — Commendations were awarded to players and coaches who proved successful at the 2015 EAFF East Asia Cup. Women footballers and coaches demonstrated once again the dignity and honor of the great Paektusan nation shining with the august names of President Kim Il Sung and leader Kim Jong Il and powerfully encouraged the army and people of the DPRK by winning the 2015 EAFF Women’s East Asian Cup. Posted in Senza categoria on agosto 20, 2015 by calciocorea. Posted in Senza categoria and tagged kang nam-gwon, Kim Yu-Song on agosto 20, 2015 by calciocorea.